Kris Boulton spent five years working as a maths teacher in inner-city schools, including the game-changing King Solomon Academy. He blogs and writes for the TES, and his interest in teacher education stems from the belief that it's one of the biggest levers we have for school improvement. 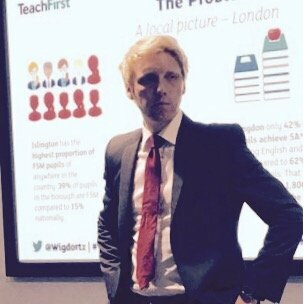 Previously, Kris was a Director at Teach First, where his work included reforming the participant development programme, and working to recruit and train 200 new teacher educators. He is currently Director of Education at Up Learn, an online platform that provides A Level study and revision courses powered by cognitive science and AI, that guarantee students an A or A*, or their money back. 10 years ago, John Hattie released a super-synthesis of over 800 meta-analyses from research in education. "Every year I present lectures to teacher education students and find that they are already indoctrinated with the mantra 'constructivism good, direct instruction bad.' When I show them the results of these meta-analyses, they are stunned, and they often become angry at having been given an agreed set of truths and commandments against direct instruction." At its core, Direct Instruction promises guaranteed success for 100% of pupils. So, why is it vilified, and why are Hattie's students so angry when they learn what the evidence has to say?